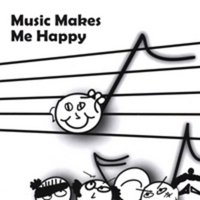 Music Makes Me Happy conveys Robbi K’s love of world music and culture. Ramping up the CD’s quality is Robbi’s collaboration with a wide range of peers whom she’s befriended while performing with such legendary artists as Chaka Khan, Aretha Franklin, Diana Ross, Rod Stewart, Jewel, Harry Belafonte and others. ”Happy” is a fun, freeing song that encourages folks to express their emotions, whether glad or mad.